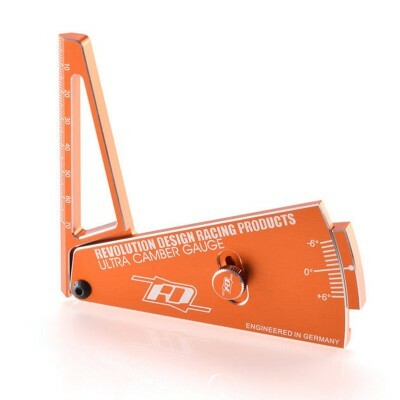 FUNCTION & DESIGNThe RDRP Ultra Camber Gauge R2 is an ultra precise tool to measure the wheel camber on 1/12th to 1/8th scale on-road and off-road vehicles. 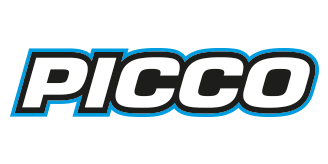 With the camber being an important parameter to maximise the performance of your vehicle's tyres and therefore overall grip and tyre life, accurate and reproducible measuring is necessary in order to gain an advantage over your competitors. Tight tolerances, high-tech materials and precisely attached laser-etched markings, solid construction and thought out design help to achieve this high accuracy every time you use the gauge. Measuring the wheel's angle is a matter of seconds with the Ultra Camber Gauge while at the same time having the same precision that is normally achieved with much more complex setup systems. CNC-machined from 7075-T6 aluminium and black anodised for that distinctive stealth look the Ultra Camber Gauge not only is super accurate but also has everything it needs to withstand the rigours of regular abuse in racing situations to make it look shiny for years. The 2016 variant of our popular camber gauge is now available in a range of colours including red, orange, black, blue and light blue. APPLICATIONAdditionally the increased length vertical lever incorporates a scale to quickly measure screws, wheel diameters, wire length, winglet dimensions and more.